First full-length study of this influential 20th-century liberal theologian and ethicist. Beach draws from all of Adams's work--his essays, lectures, letters and famous conversations. 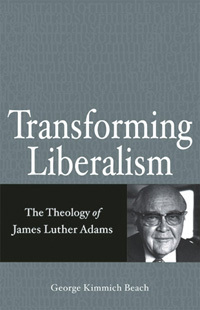 Here is a book that many have sought in Adams's life work--a systematic yet nuanced and entirely readable theology for a new religious liberalism.